Maritime Security is more relevant today then ever before. The persistent threat of terrorism has forced our nation to take a more vigilant approach to security as whole. In doing so, we have discovered that our ports, harbors and waterways, which host our nation’s most treasured assets and also play a vital role in our economic stability, are supremely vulnerable to nefarious exploitation. Now more than ever it is important to employ and maintain robust maritime security programs. Implementation of a Waterborne Patrol Program is of vital importance for companies required to perform maritime security patrol functions. Our program management experience is extensive for programs of this type. Our trainers and managers efficiently deliver the critical skills necessary to ensure the safety of all personnel and equipment during the execution of maritime security operations. Our effective training ultimately plays a critical role in determining the success or failure of the mission. Considering the catastrophic implications associated with mission failure, quality program implementation and training is a sound investment. Our management and training team is designed to give our clients just that, a quality investment. Six Maritime’s training curriculum for program implementation and sustainment of our teams is designed by our Department of Defense (DOD) certified Master Training Specialists (MTS) who tailor our initial training and sustainment programs specifically for each security platform and to client needs and procedures. The method of development used to generate this course of instruction is referred to as Tasked Based Curriculum Development as per the US Navy’s NAVEDTRA 130 Instructions approved by the Chief of Naval Education and Training. Six Maritime Inc. is a small but growing company providing security services, training and consultation throughout the U.S. and across the globe into Dubai, Oman, London, Equatorial Guinea, Nigeria and Mexico. We have developed and delivered cutting-edge curriculums for other industry partners such as Elkins Marine Training International, who is backed by the U.S. Government as an Official Advocate to the International Maritime Organization (IMO) and recognized by National Academy for Professional Training (NAPT). We are well equipped to provide training, program management, consulting, procurement assistance and physical security services in high-threat environments. Our core services were designed to support governmental programs on and offshore as well as the marine and offshore commercial industry sectors. We view our clients as our partners for ensuring collective mission success and feel obligated to provide the finest services any American company has to offer. The backbone of our maritime services capability is maintained by the recruitment of elite forces and by retaining personnel who possess preeminent maritime and land-based special operations experience. Our personnel include U.S. Marine Force Reconnaissance and Naval Special Warfare (SEALs / SWCC) personnel. Six Maritime Security Training Specialists, each a combat veteran, embody years of knowledge gained from the special operations, intelligence and reconnaissance communities. The Six Maritime approach to security is focused on the safety and success of missions and places an emphasis on seven core areas: Anti-Terrorism/Force Protection, Personal Security Detail, Tactical Weaponry, Instinctive Small Boat Operations, Fixed Site Security, Counter Piracy, Reconnaissance and Surveillance, and Operational Command and Control. 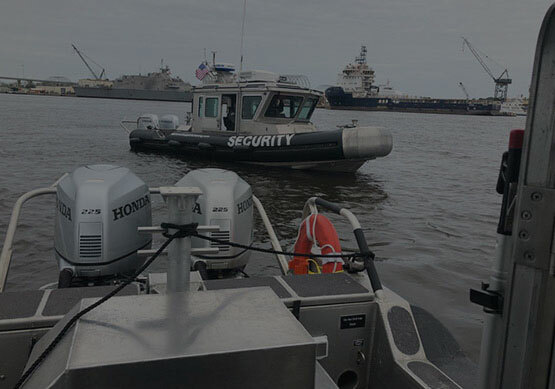 Six Maritime has a robust training program for Maritime Patrol Officers and Maritime Security Officers. Please visit our training section for more details.